We are Kirill and Yana — founders of the school who are deeply in love with freediving. Driven by our passion of freediving, we have spent a few years traveling around Asia to find a place where we can create a school, to make it our home and to invite people with the same patience and life philosophy to share the joy of living and diving together. 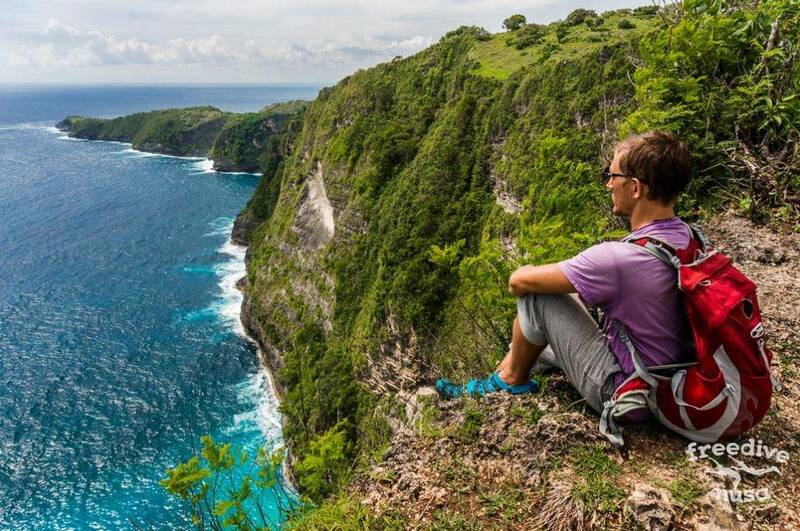 In 2016 island of Nusa Penida became such a place.  Freedive Nusa is our work and achievement, where our dream comes true. It is growing up, watered with enthusiasm, fertilized with freedivers life style and love to Ocean. We believe that diving and being in the water is natural for humans. We see our mission in to help other people to remind themselves, how it is to be in the water, to live in the water and to feel free there. We hope there will be more free people like this around us. Our approach while teaching freediving is not based on chasing numbers or results presented in meters and minutes. Our goal is to teach the consciousness and comfort that is exist in the water, while having fun and pleasure out of it! Kirill has been freediving since 2011. Since January 2013 he became SSI Freediving Instructor. 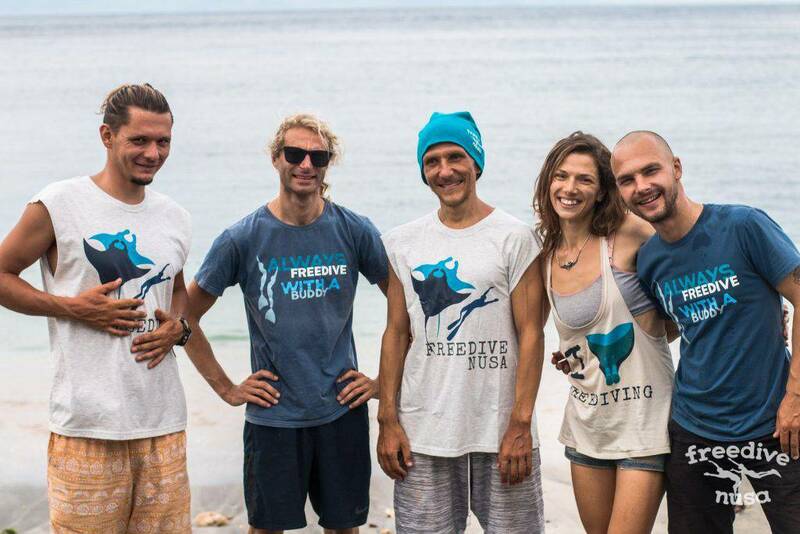 From this point he organized and conducts lot of deep courses and freedive trips for groups of freedivers in Russia, Thailand, Philippines, Indonesia, Turkey, Dahab, etc. 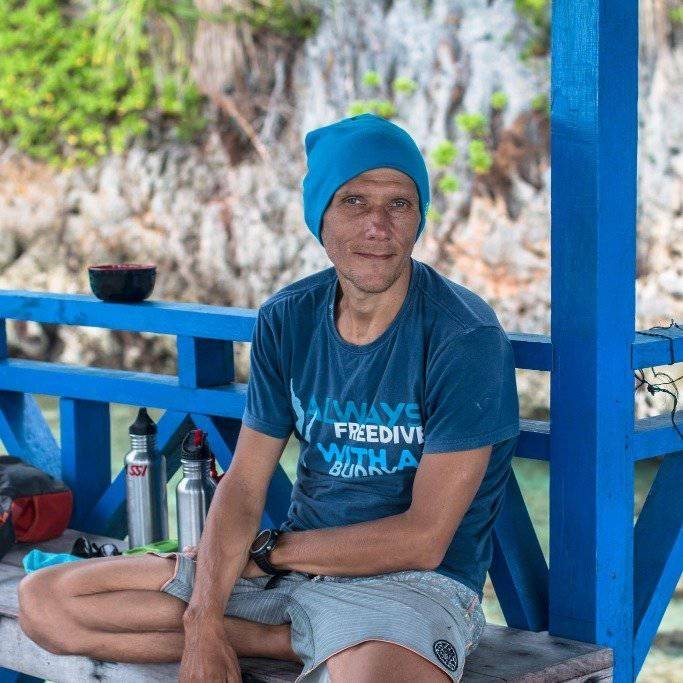 Since 2016 he has been living and teaching diving on Nusa Penida and organizing adventures for freedivers around Indonesia. Since April 2018 he became SSI Freediving Instructor Trainer. In August 2018 he passed a crossover course with Alexey Molchanov and received the status of a Master Instructor for the Molchanovs Educational System. Freediving is very diverse! Freediving is for Everyone! And Everyone can find for themselves the most interesting points in this diversity. Freediving is an another world and I really like to help to other people to join this world and to explore it! Yana originally from cold St.Petersburg in Russia. 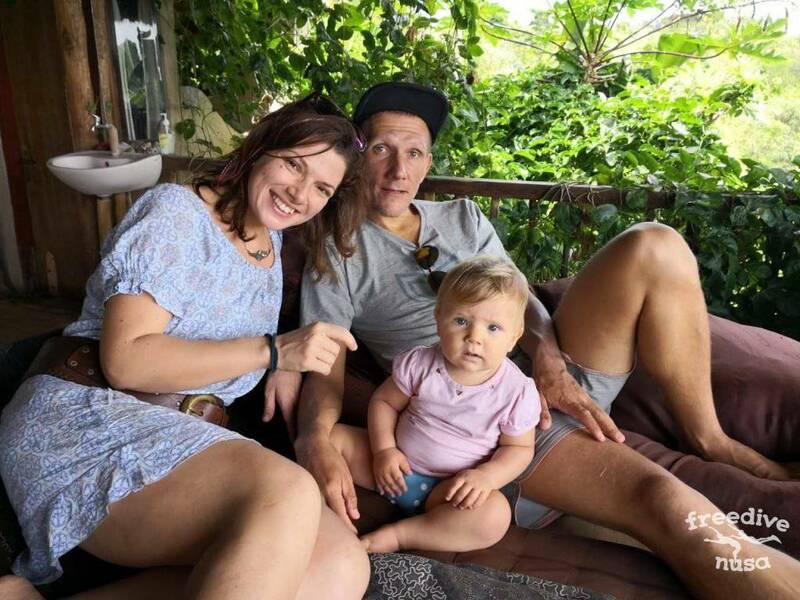 Since 2010 together with Kirill lives mainly in South-East Asia and traveling a lot there. Engaged in breath-hold diving since 2011. She practices and teaches contact improvisation, yoga, dance in water, relaxation techniques and massage in water Watsu and Aguahara. Organizer and soul of the school. Organizer and teacher at Contact Improvisation festivals in Russia and Thailand. Since October 2017 she has been raising a little mermaid called Vera. For me, freediving is about inner awareness. Being here and now, being in the moment… Watching your attention, concentrating it on something or deconcentrating… Remember that restrictions and freedom are two sides of the same coin… These topics are very important to me and freediving is gathering all of them into a single practice. Heiko loves to be in the water and he enjoys the deep blue sea as much as fun diving along beautiful reefs. 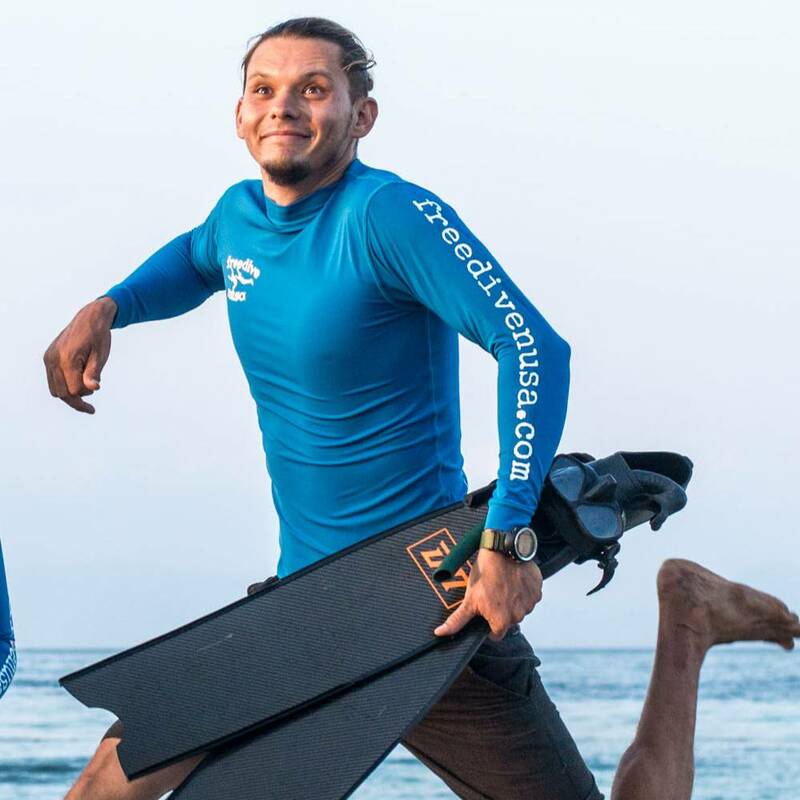 He started to dive during his travels throughout Latin America, diving in different location around the Caribbean before deciding to become a Freediving Instructor in 2016. 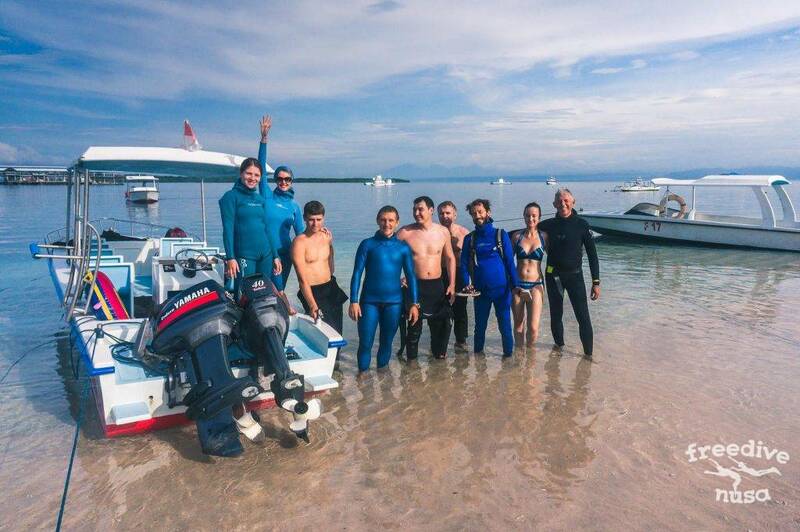 Since then Heiko has been teaching apnea diving in Australia, Thailand and then here with us in Indonesia. With a background in competition safety and his passion about facilitating apnea diving as a sport, he sees himself more as a coach than a teacher in the water. Heiko is teaching courses in English and German and sometimes with the help of a little Spanish. Continuously learning he is interested in understanding ocean with its currents and marine life. Sometimes he likes to challenge himself on a deep spearfishing sessions. 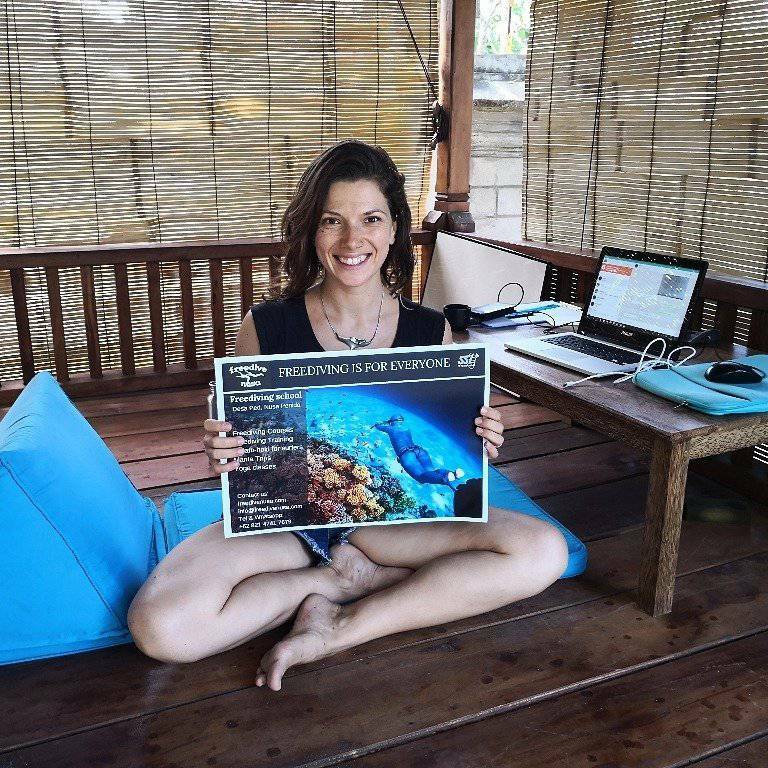 I became a Freediving Instructor and later also Yoga Teacher to share my passion and insight with others. It also allows me to continue my travels around the world and discover new and fascinating cultures and places. Artur is Apnea Total Freediving Instructor since 2014. In April 2018 he did crossover with us and became SSI Freediving Instructor. He is Yoga Instructor since 2010. Artur practices apnea since 2013 as a logical continuation of yoga practices, the search for freedom and travel. He started breath-hold diving in the swimming pool in Moscow and turned out to be in the warm waters of Southeast Asia where he spent last several years. Freediving is a tool and opportunity. A tool for working with the body and mind, the opportunity to receive pleasure and freedom of movement from this work. 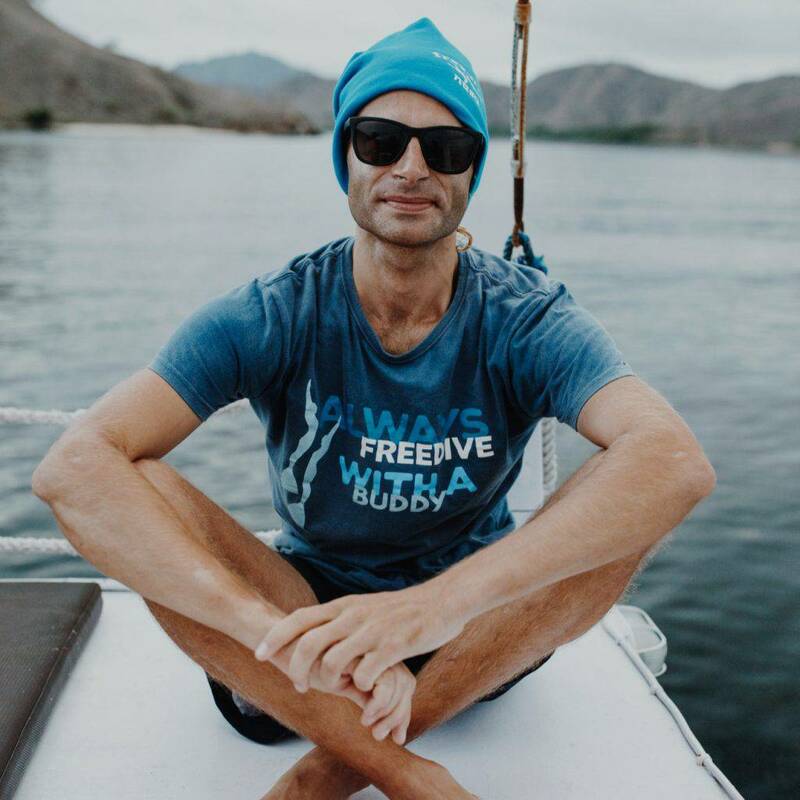 What makes freediving with Freedive Nusa the best choice? Unlimited depth. The maximum depth in the strait between Bali and Nusa Penida is 200m. You can dive from the shore, after 100 meters the sea bottom is dropping deep on almost 90 degree wall. For training sessions we are going for diving from the boat. Water temperature is 27-29 degree all the year long. Clean water and perfect visibility. As soon as this island is quite far from Bali, the water here is much clearer than in around Bali, especially it could be different in raining season. Rich underwater world. 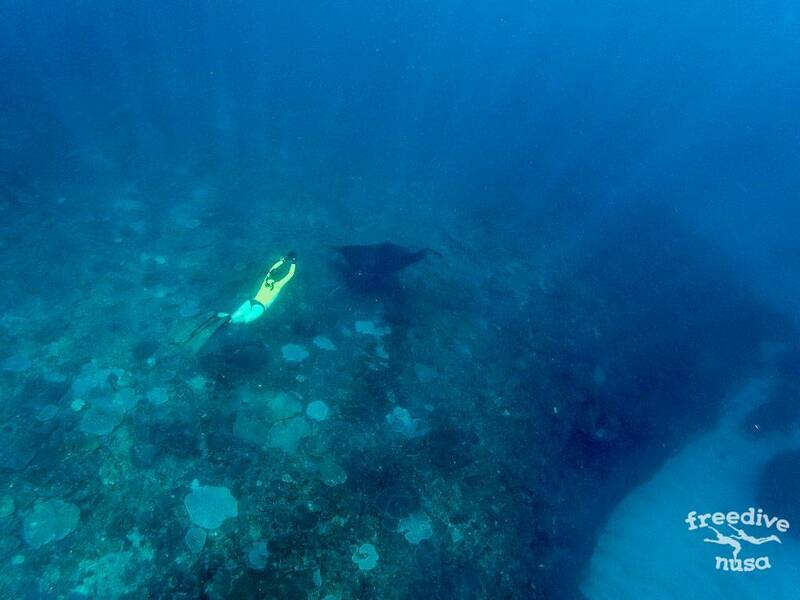 It’s the best place in all Bali measured by the amount of species you can see underwater. There is a high possibility to see Manta Rays and Mola-Mola fish. Amazing sites are also making the island a perfect place to visit: beautiful beaches, breathtaking cliffs, underground temple, waterfalls, etc. Regular yoga classes in our studio. Just 40 minutes by speedboat from Bali. Several nice accommodation options just 100-200 meters away from the school. Calm village atmosphere and friendly locals. Unforgettable view on Bali island. FreediveNusa is situated on the Nusa Penida island, that is a part of Bali province, 12 km from the South-East from Bali. This island is a limestone plateau, with sandy beaches in the North and East, and seaweed gardens in the shallow waters — one of the main income for locals. 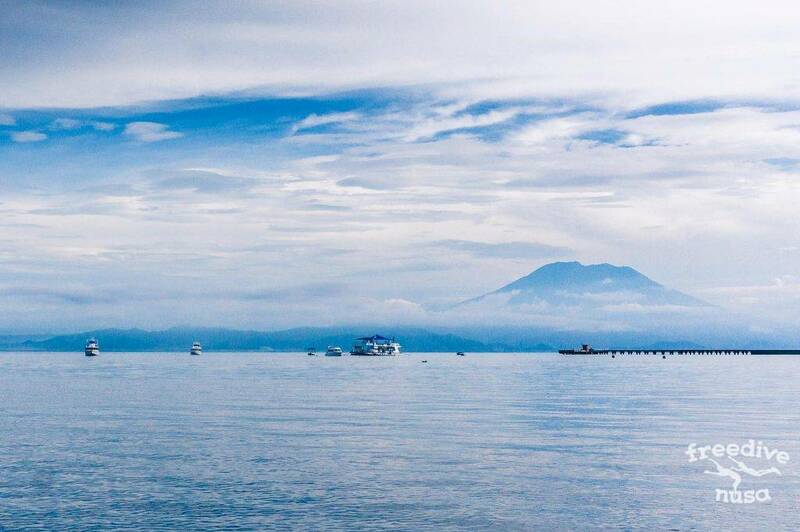 You can enjoy the best view of Agung volcano just from the beach in front of the school. Southern and Western coast is a set of breathtaking 200m dropping cliffs strait to the ocean and small sandy beaches between rocks. The nature is reach here and the landscapes are fantastic, even though roads are destroyed. 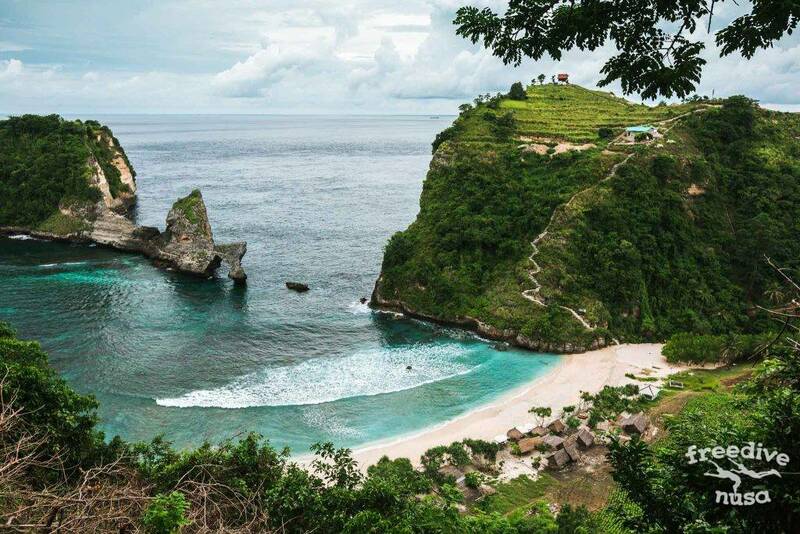 The main attraction is its dive sites, Nusa Penida’s diving are the best in Bali. In addition to the dozens of world class dive sites there is opportunity to meet Manta Rays or Mola-Mola Fish. Local people are very friendly, their characters still have not yet change with the young touristic infrastructure. Especially if you compare it with South Bali or nearest crowded Lembongan island. Our schoolyard is located between Ring Sameton Hotel and Jero Rawa Homestay. The school is just 20m from the beach. Our play yard is hidden from the road and has all facilities needed for our students. We have all facilities to dive both from the beach to the rich home reef and by the boat. Theoretical classes and onland practical sessions are held in comfortable yoga studio. 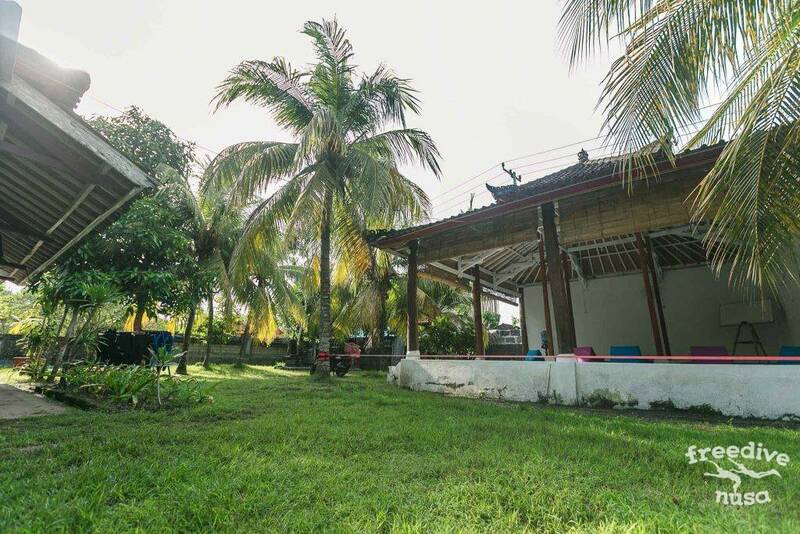 During the break you can go to have lunch in one of cafes where you can grab tasty, healthy food and enjoy it watching Bali island behind the sea. Beside teaching apnea diving on Nusa Penida we are regularly organizing fun diving trips to dive sites around the island, Manta trips to dive with Manta Rays, special courses for surfers and unique freedive trips around Indonesia.